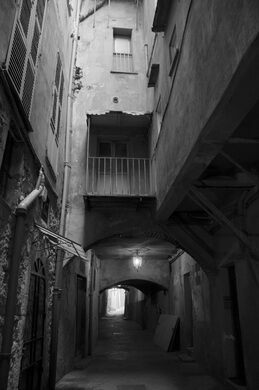 A hidden medieval street stretches beneath the old quarter of a postcard-perfect French fishing village. 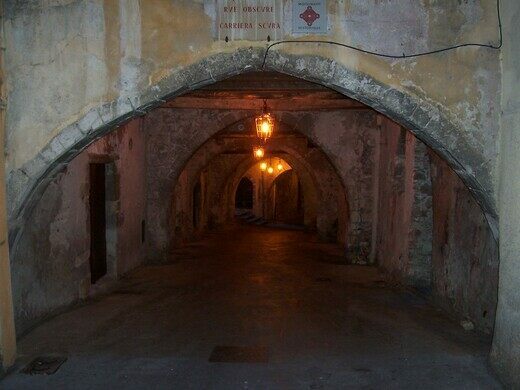 The only light to bathe its old stone walls and illuminate its arches comes from the artificial glow of a lamp or a fleeting flash from a pedestrian’s phone. 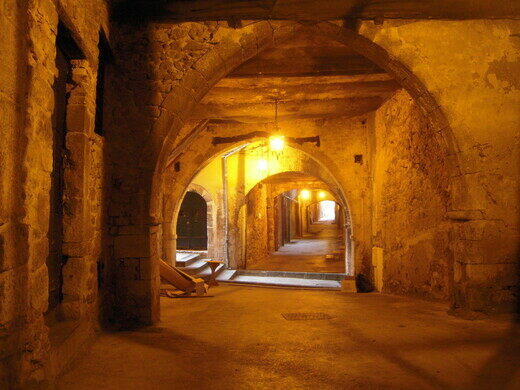 An ancient monastery, a locked room, and a mysterious book heist. 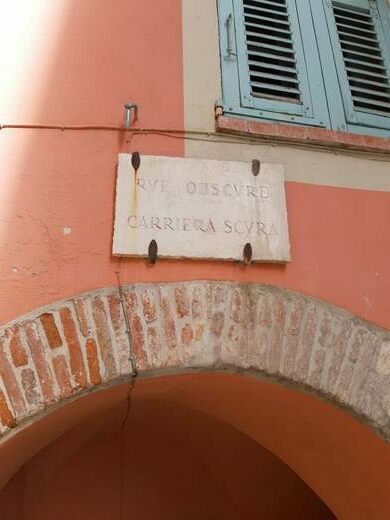 As its name suggests, the Rue Obscure is quite obscure. The roughly 430-foot-long stretch of walkway now resembles more of a tunnel than a street. Houses and buildings have been built atop it, hiding a large chunk of it from view and making it difficult to find—unless you know where to look. 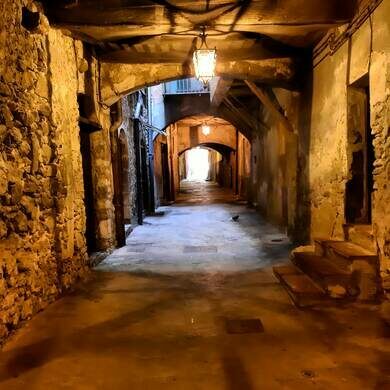 The old street was built in 1260 for military purposes. Originally, it was a pathway that let the soldiers shuffle through the village with ease, with only the sky overhead as their ceiling. As the years went on, the military stopped frequenting the street. Eventually, it fell victim to the effects of urbanization as a lack of space caused people to begin building over it. But just because the street was covered doesn’t mean it became lost. 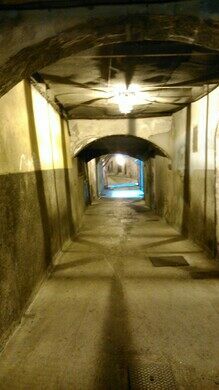 Instead, it was transformed into the tunnel-like passageway it is today. 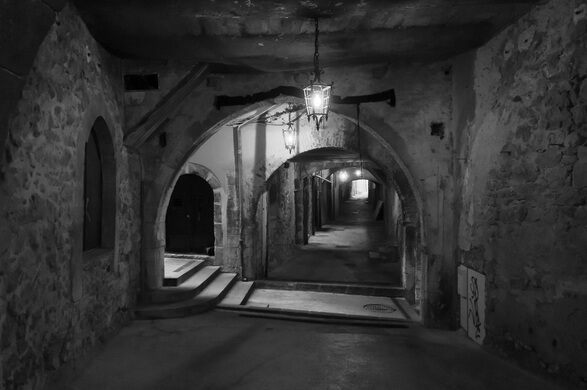 Businesses have used the dank, dark space as a makeshift wine cellar, and townspeople even once used it as a place to shelter their donkeys and goats. The only acces is via Porte Albert from the seafront. A perilous medieval road leading right into the sea.